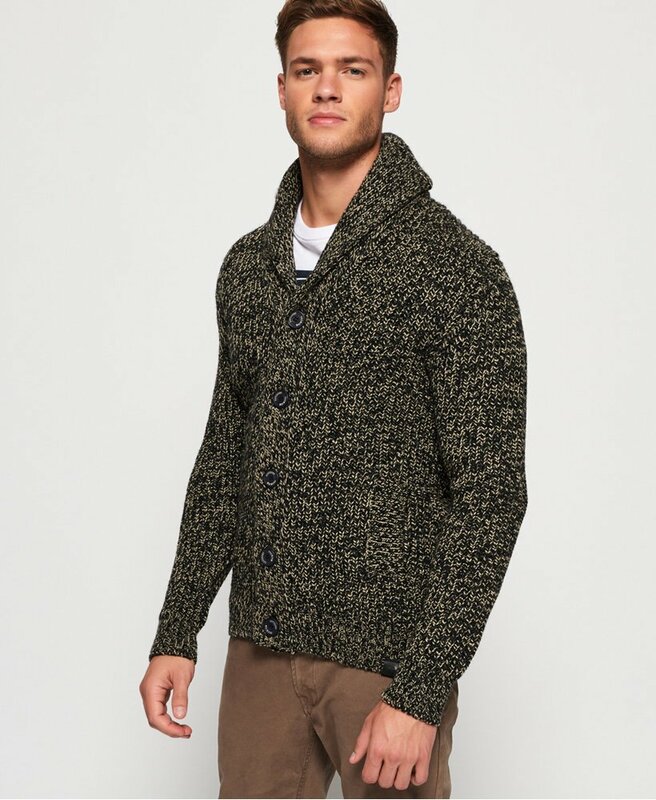 Superdry men’s Jacob shawl cardigan. A chunky knit cardigan to keep you warm, featuring a button fastening, two front pockets and shawl design collar. The Jacob shawl cardigan is finished with a Superdry logo patch on one sleeve.